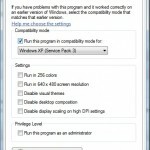 Today I finally installed Microsoft Windows 7 Ultimate and enjoying it. The only problem that was annoying me was the Windows Live Messenger in Windows 7. 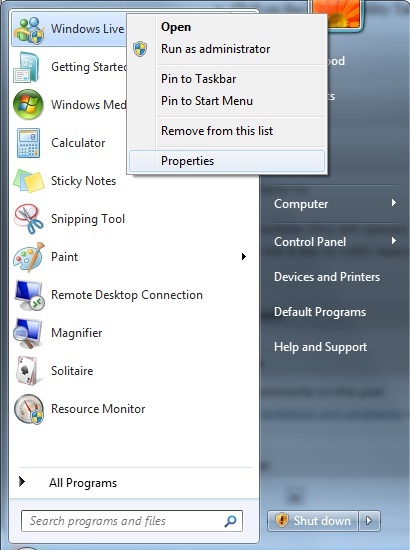 When I used to login/run Windows Live Messenger, it used to appear in the full start menu bar instead of going down in the task-bar near the clock. 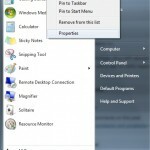 The huge tab of Windows 7 was disturbing me when I was running lots of applications. 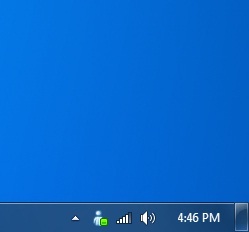 So after a little hanky panky I figured out how to make Windows Live Messenger appear in the task-bar (near clock) instead of appear in the full start task-bar. Right Click on Windows Live Messenger. 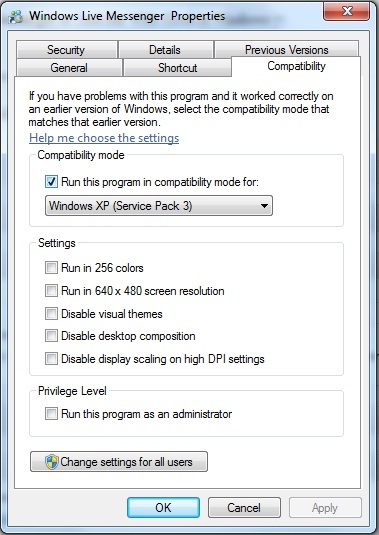 Enable the compatibility check-box and set it to Windows XP Service Pack 3. Previous Previous post: Windows Live Messenger Strange Pop Up Message? Linked with Twitter and Facebook?